Kure Beach is a great family beach near North Carolina Aquarium and Fort Fisher National Park. Owned and built by Joe Hearne. Developer of Kure Estate, Kure Dunes and Kure by the Sea. President of Kure Beach Realty. Developed the property across the street and wanted a personal house on Kure Beach. The views of the Ocean and the spaciousness of the house. Loved the property, talked to the owner - he helped out with all the questions I had. Right next to the beach (not across the road), so it was great for the kids to just walk at a moments notice. Was a great location with fabulous access to the beach. The house was well equipped and spacious and we will return in the future. Very cordial and supportive owner. House does need some minor repairs. 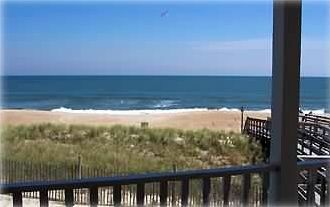 Beautiful and roomy house with private beach access. The owner was awesome to work with. Plan on going back to this house. I visited this house with several girlfriends to celebrate a birthday. We loved the open, airy space. Very clean. Has a full size washer and dryer in case you bring your own linens/towels. The property owner was extremely easy to work, being flexible with our check in and check out times. My family spent Thanksgiving at the Hearne House. This home provided enough room for everyone to have their own space, but also provided a gathering area for all. It is in a great location, close to lots of restaurants and attractions. It was wonderful to enjoy my morning coffee on the back deck watching the waves! I would recommend this home as a beach vacation. My family and I have been going to Kure beach for years and are very glad we found this house! It is absolutely perfect for us and we are planning on continuing to stay at this location! It is a beautiful home with everything you could ask for! W can't wait to go back!